Dr. Jane Cobia is a professor and director of the doctoral program for the School of Education at Samford. Dr. Cobia has spent 25 years in the public education arena serving as a teacher, principal, assistant superintendent, education specialist for the Alabama State Department of Education and superintendent. She has served as an education consultant for school improvement, on the ASCD Board of Directors, and is certified as a superintendent mentor trainer. 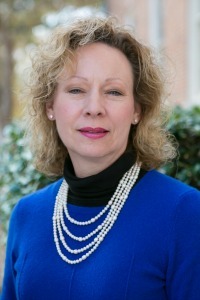 She has taught as an adjunct of graduate level courses since 2001 for Jacksonville State University, University of Montevallo and Auburn University at Montgomery. She is executive director for Alabama ASCD, the treasurer for Sylacauga Rotary Club, and a founding member of the Marble Valley DAR. She serves on numerous boards and is active in professional and civic organizations (Sylacauga Alliance for Family Enhancement, CLAS, ASCD, KDP, Boy Scouts of America, Omicron Delta Kappa).